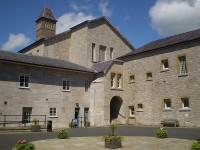 Ruthin gaol is the only purpose-built Pentonville style prison open to the public as a heritage attraction. People can spend time exploring its nooks and crannies and learn about life in the Victorian prison system. See how the prisoners lived their daily lives: what they ate, how they worked, and the punishments they suffered. Explore the cells including the punishment, ‘dark’ and condemned cell. Find out about the Welsh Houdini and William Hughes who was the last man to be hanged there. The Old Court House, Ruthin, Denbighshire, North Wales was built in 1421 and is a Grade II* Listed Building (NGR SJ123583). It is now the National Westminster Bank and is notable for being the first building to be attacked at the outset of Owain Glyndwr’s revolt on 6 September 1400. Take a trip through the seven ages of Nantclwyd y Dre, Wales’s oldest dated timbered town house. 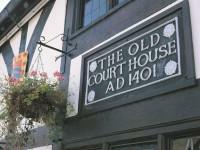 The house was started in 1435 and has been added to, updated and upgraded throughout the centuries. Nantclwyd y Dre has been beautifully restored to demonstrate the changing fashions and the lives of its residents. Visitors can observe a colony of Lesser Horseshoe bats in the attic rooms via ‘bat cam’, participate in a quiz and use interactive media screens to learn more about the house and its inhabitants.